Then there are 2 more $99.00 options – the Club Jeroboam, which includes three bottles of premium wine matched to your flavor preferences and procured from a global wine partner, meaning it could come from the furthest stretches of the earth. The final option is the Club Cuvee option, which includes two bottles of premium sparkling wine procured from Champagne, France and Northern Spain. Both of these options are available in monthly and bi-monthly options. 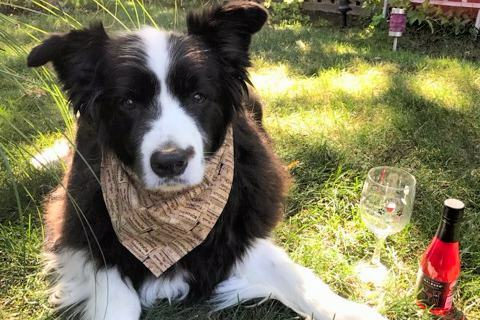 Unfortunately for those based outside of the United States, He Wines, She Dines only ships within the US, with personalized boxes shipping on the 9th of each month. With their quiz and taste profile approach, Bright Cellars sends you wine that truly matches your preferences. Wine clubs can feel like a little bit of a risk some days. After all, there are so many different wines out there. Even when you get some choice about what you receive, there’s a good chance that you’ll get wine that you don’t like. Bright Cellars attempts to get around that issue. It uses a fun quiz to create a taste profile for you. This profile is used to match you with 4 bottles of wine each month. The system is no joking matter. It was developed by 2 MIT graduates and uses an algorithm to determine the best wine for you. There is even a Delight Guarantee, where Bright Cellars says that you will get a free replacement bottle next month if you get a bottle of wine that you don’t enjoy. This wine matching approach may even be more accurate than your own attempts to find wine that you like. 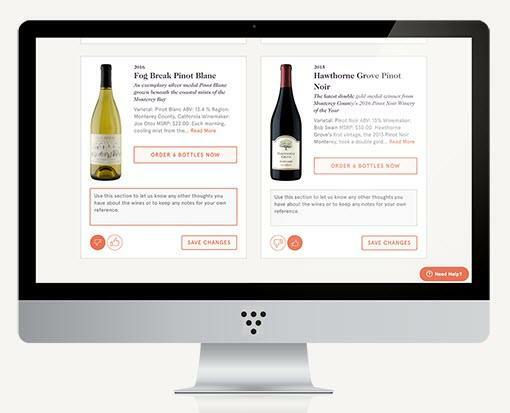 The subscription itself provides you with 4 bottles of wine each month (for $80), based on the algorithm. The wines are sourced from around the world, with an emphasis on small vineyards. All wines are tasted first and Bright Cellars only includes the very best in their monthly boxes. This company provides 3 discounted bottles of wine per month. Glassful is another company that quizzes you about your flavor preferences. Annoyingly, you need to sign up before it will let you see the wines it recommends based on your quiz outcomes. Once you go through the quiz, you’re given 2 recommended bottles of wine, which will be in your first box. After that, you receive 3 bottles of wine each month for $54. The wines will always be tailored around your personal preferences. Glassful also focuses on organic and sustainable companies, so you can be certain that your wines are high-quality and good for the environment. The pricing is appealing too. Paying $54 for 3 bottles of wine means that you’re normally getting them at much less than retail price. 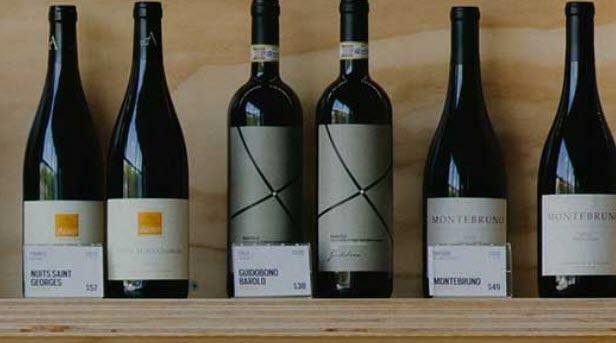 With this company, you’re able to rate wine to create a more tailored selection over time. Firstleaf is another good company if you want the ability to customize. They provide 3 bottles of wine per month from the winemakers and wineries that they partner with. 92% of the wines have won at least one award, so you’re getting the best of the best. You’re not just getting good wine either, the prices are very reasonable. Firstleafpartners with wine companies directly, meaning that there are fewer middlemen and a lower cost for you. The wines end up costing around $13 per month. That’s impressive for award-winning wines. 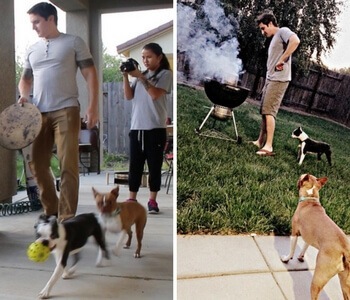 Firstleafcosts $15 (plus tax and shipping) for your initial order, then $53.90 per month after that. Your initial wine selection is based on the types of wine you prefer. You can change preferences in the settings for the company if there are any areas that you’re dissatisfied with. You’re even able to rate the wines that you receive. This helps to refine your profile further and ensures that future boxes meet your preferences. This popular personalized wine club helps ensure that you get wines you love. 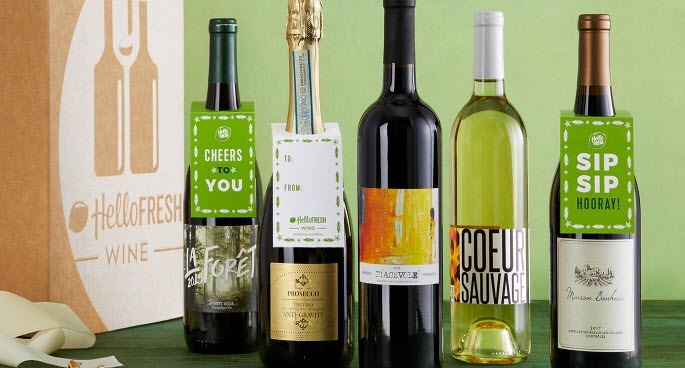 Winc is an especially good first wine subscription club. The company uses 6 questions to build a Palate Profile, which is then used to influence the wines that you receive. This style should mean that you get more wines that you truly enjoy and fewer ones that aren’t appealing. The subscription always comes with 4 full-sized bottles of wine each month. The wines start at $13 each. You can choose whether you want red wine, white wine or a mix of both. Winc is unusual in that the company tells you precisely which wines you’ll get before you submit your order. You’re also paying for the wines individually. This means that the price won’t always be the same. Another interesting aspect is that you can edit the wines. If you don’t like a wine that they selected, you can just choose to replace it with another. The site even shows ratings for the different wines, giving you a sense of the ones that you’re likely to enjoy. This is a more comprehensive subscription program, offering a case of wine instead of a few bottles. You mightn’t normally associate the Wall Street Journal with wine, but they do have an entire WSJ Wine site, along with a subscription program. Their subscription provides you with a case of 12 wines, plus 2 extra bottles for free, tasting notes and 2 stemless glasses. You’re able to choose between red wine, white wine and a mixed crate. Many of the included wines have received awards, making them extremely appealing options. You can even see the wines in the initial case listed on the site. 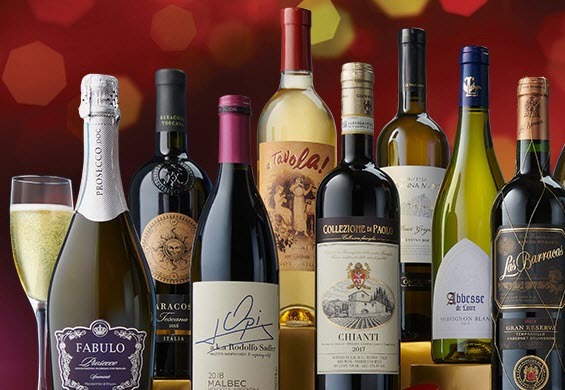 The subscription provides you with 12 wines every 3 months. You’re able to tell WSJ Wine the types of wine that you enjoy and get selections that are tailored to your palate. At present, the club costs $69.99 to join. That’s a low price for the amount of wine. Just be aware that this price only applies for the initial case of wine. After that, you’re paying$159.99 (plus shipping) for your wine. Make sure you check all of the requirements before signing up, as it’s far too easy to be caught out. 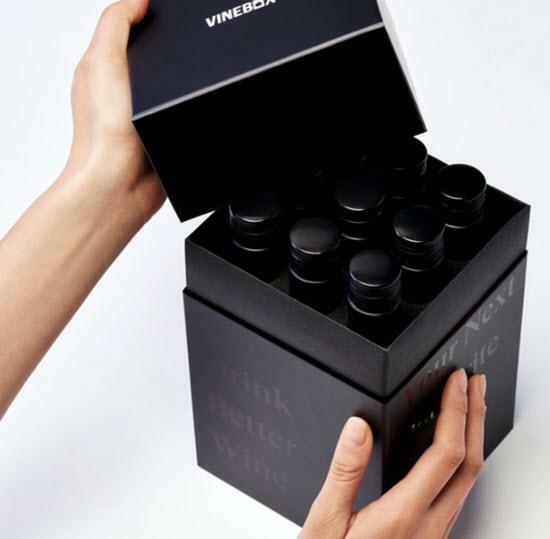 This wine club uses a tasting kit to truly personalize your experience. When wine clubs personalize, they tend to ask you details about the flavors that you like. The style has its merits, but it assumes you have a good understanding of your own taste preferences. The Tasting Room takes a different approach, providing you with a tasting kit instead. Their kit contains 6 mini wine bottles. Your responses to these provide the company with your wine profile. You’re also able to rate all of the wines that you are sent. This helps to further refine the selection that you receive over time. This is another company that offers multiple individual clubs to choose from. Hazleton’s is always amazing for gifts and their Wine of the Month Clubs are powerful as well. There are 12 different subscriptions to consider, with prices ranging from $69.99 to $149.99 per month. Many of the clubs are based on styles of wine, like New World Vintage Red Wine and Old World White Wine. All of the subscriptions provide 2 bottles of wine per shipment by default. You also get information cards about each of the wines. The wines themselves tend to be unusual in some way and are often part of difficult-to-find batches. While you don’t have control over the wine, you are able to change the number of bottles that you receive. You can also add on extra items if you want to. This company offers 2 different impressive clubs. The subscriptions from Laithwaite’s Wine are different than most other clubs. The first of these is The 4 Seasons Wine Clubs. Your initial order costs $69.99 and provides you with a 15-bottle wine showcase (there are 3 different showcases to choose from). Every 3 months after this, Laithwaite’s Wine reserves a 12-bottle collection for you. That selection costs $149.99. The other option is Laithwaite’s Reserve Club. It follows a similar style as the first club, except that the wine is higher quality and the club costs more. You also get a 6-bottle case initially, along with a gift of 2 bottles of California Cabernet and 2 glasses. While the style is unusual, you might enjoy getting more wine at a time. The clubs do work out to be a similar price to other wine subscription clubs. You can also provide feedback about the wines that you want and choose whether or not to accept the cases each time. This wine club is associated with the meal kit company Blue Apron. Wine pairs well with food, so it’s not surprising that companies like Blue Apron have started to get involved in wine subscription programs. I’ve tried BlueApron myself a few times and they are reliable, which is always good. The wine club is inexpensive, charging you just $10 per bottle of wine. These are 500 ml each, which is smaller than the standard size of 750 ml. You receive 6 wines per month, coming to $65.99 per month. Tasting notes are included too, along with tips about the best food to pair the wine with. Blue Apron doesn’t take the typical approach to personalize your wines. Instead, the wines are chosen based on your meals from Blue Apron. This makes the wine club particularly good if you’re already ordering food from Blue Apron. If you’re not, the selections won’t be as customized. Here’s an interesting meal kit company that offers wine as well. Hello Fresh is a very popular meal kit choice and one of the companies that I particularly enjoy. They also have a decent wine club that is worth checking out. The club provides 6 bottles of wine each month. They’re chosen by the club’s sommelier. You’re able to specify whether you want all red wines, all white wines or a mixture of the types. Unusually, the site for Hello Fresh provides information about which 6 wines are chosen each month for the plans. This means that you know precisely what you will get before you sign up. The idea is nice, but it means that all members get the same wine. There are no personalization options. One advantage is that the wines are related to the Hello Fresh meals. This makes it easy to pair the wine and the meals if you’re receiving meal kits too. If you're interested in signing up, the subscription plan costs $89 per month and comes with free shipping. How can you go wrong with a box that is designed for you and your canine friend? This is a really fun box and it does a great job of encapsulating what a subscription box can be all about. WINEDOG caters for you, and your dog – the seasonally themed box is filled to the brim with goodies for both you and your canine friend. Each box contains a delicious drinkable treat for your dog, while you enjoy between 4-6 eclectic treats of your own. There’s also hor ‘doeuvres and a toy for your dog in the box, so there really is a lot for the both of you. This box, made especially for wine and dog lovers, costs $35.00 per month. It ships worldwide from the United States, and generally ships on the 4th of every month, so if you’re interested in getting your first WINEBOX as soon as possible, get your orders in before then! The box also, of course, makes for a great and thoughtful gift. Subscriptions automatically renew, but if you no longer want to receive a box, you can cancel anytime. While this box doesn’t include wine, it has plenty of related items for you to enjoy. A great thing with some subscription boxes is that they don’t just come in one set way of distribution. Take the excellent Uncorked Box, for example – it is a seasonal box that has lots that will appeal to you or a wine-lover in your life! The Uncorked Box differs from a lot of the other options on this list in that it’s not necessarily about the wine itself, but the experience that comes with the drinking. The box comes with 7-10 wine related items – corkscrews, pairing notes, glasses, fun things – so that your wine experience will be enhanced. While there are specialty boxes available with specific options on their site, you can receive the subscription box once every 3 months for $50.00 – the wait between boxes usually means it will arrive as a pleasant surprise (and a perfectly good reason to drink some wine). They also have offers running all the time – at the time of writing, for example, those who order before December 31 will get the Winter Box and a free mini Uncorked Box – so be sure to check before ordering, cause there may be an additional treat in store! This unusual wine club offers a completely different experience. Wine clubs normally follow the same pattern, delivering you full-sized bottles of wine every month or perhaps every quarter. While the idea is appealing, it can leave you with full-sized bottles of wine that you don’t particularly like. Vinebox does something different. 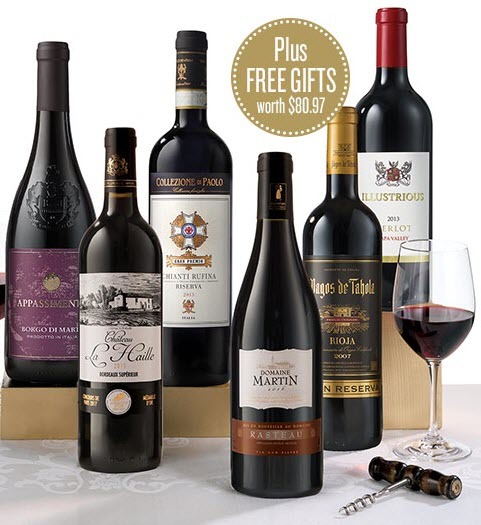 Your subscription gives you 9 different wines to try out, for $79 per box. This is possible because you’re not getting full bottles of wine. Instead, you receive 9 glass tubes that contain a glass of wine each. This gives you the ability to try many more wines than you could otherwise. The subscription itself is quarterly. You also get credit that can go towards buying full-sized bottles from the company. In short, Vinebox gives you a much greater chance to learn your own wine preferences – while having some fun along the way. The female winemaker focus of this club makes it an especially good choice. Like knowing who made your wine? 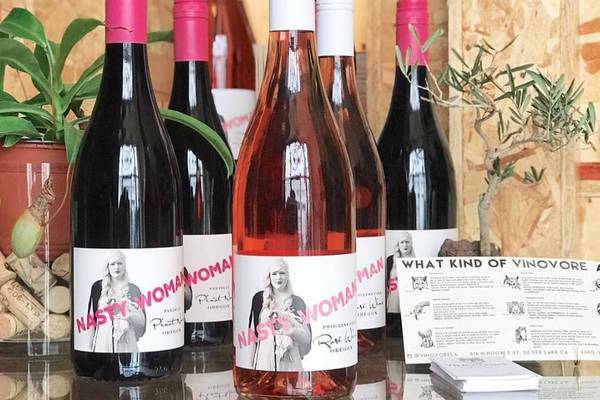 VINOVORE is a wine subscription box comprised of contents made exclusively by female winemakers! The box could contain a bottle from hundreds of unique and curated bottles from across the globe, so you can be sure that there’s something that will catch your fancy among its massive selection. When it comes to what is in the box, there’s lots to choose from. There are several unique pack options – you can choose from reds, whites, roses or, if you’re particualry easy-going, a selection of all 3. Whatever option you go for, the box costs $45.00 a month and ships worldwide from the UnitedStates. The box generally makes its way out on the 10th of any given month, so get your orders in before that time if you’re interested in some VINOVORE boxes. In addition to the included wine, there are also some very helpful pairing notes which mean you can get the most out of your wine-drinking experience! This club focuses on champagne, rather than simply offering red and white wine. If you’re a champagne lover, Fat Cork is the company for you. The club has a key emphasis on expanding your palate. This includes providing you with flavor variations each month. Individual shipments are even tailored around specific taste themes. Details are also included about the history of each bottle. You can choose between 2, 3 or 6 bottles of champagne each month, costing $119, $169 and $319, respectively. The 2-bottle plan charges you $9.95 for shipping, while shipping is free for the other 2 plans. 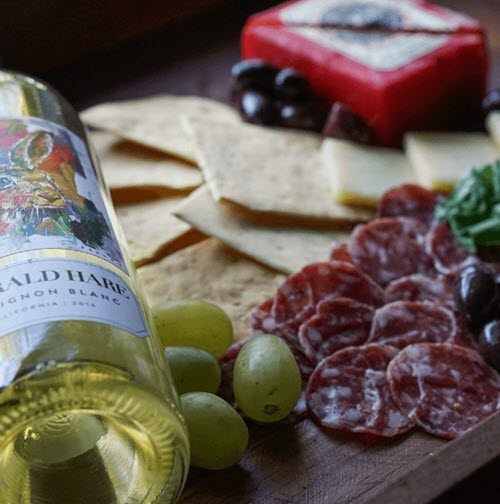 This subscription club provides you with wine, cheese and related items. Wine clubs don’t need to exclusively focus on wine. While they’re rare, some of the best clubs are those that branch out. 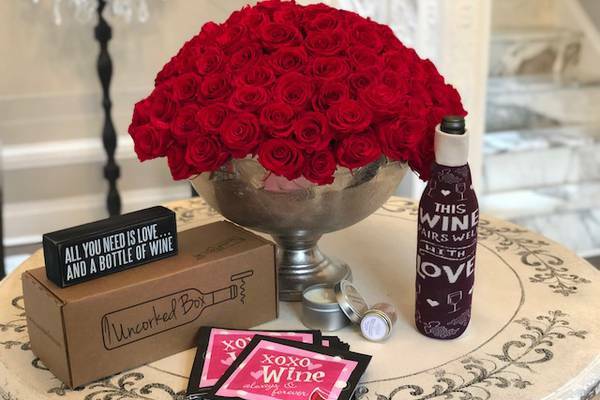 The Wine Down Box is one example. Your monthly box comes with a single bottle of Californian wine (limited production), along with cheese, charcuterie and crackers. The combination of items is completely perfect. The box even comes with a sheet that offers details about cheese and wine pairing. I can’t think of a better way to learn more about wine andcheese. Subscription costs $70 per month if you just order for a single month. The cost can get down to $63 per month when you’re ordering for a longer duration. There you have it – the best wine subscription boxes on the market! Whether you’re looking to expand your palette, enjoy a wine-related surprise or just want to enjoy the convenience of wine straight to your door, you’re in luck with these options. If there’s one that appeals to you, why not give it a try and have a fun night-in!